Samsung just finished launching its new smartwatches, Gear S2 and Gear S2 Classic in Berlin. 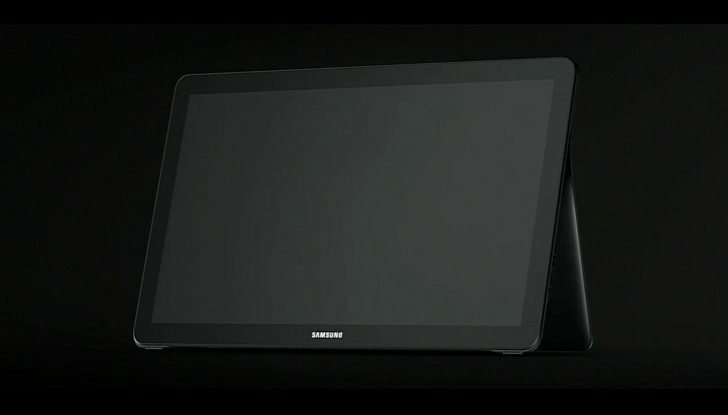 While the event was primarily aimed at the S2’s, Samsung also hinted at a larger Tab (which was earlier rumored to be 18″ inches) called the Galaxy View. For now Samsung has only released the trailer from which we can see a built in kickstand, a larger screen(presumably) and its focus for media consumption. Other than that, Samsung won’t be telling anything until October where it will announce the product. Samsung carried out the same trend at the end of the Note 5 and S6 Edge+ event in New York hinting at the just released Gear S2.